any time including evenings and weekends and we’ll get back to you as soon as we can. The business is headed up by Gill Pavey who offers services in proofreading, copy-editing and copywriting. Gill started proofreading in the 1980s when she was employed by a water sports magazine group in London, before moving to a provincial newspaper. Over the years she has become an accomplished copy-editor and works with a number of large organisations across Europe on translated business documents and academic papers and reports, and authors of non-fiction books. She has also worked on documents for the European Parliament and European Commission agencies. for a friendly, no obligation response. Gill’s qualifications include MSc (Finance), she is a Chartered Management Accountant (ACMA/GCMA), holds a diploma in proofreading and a UK copywriting qualification. She is a member of the Association of Freelance Editors, Proofreaders and Indexers in Ireland. 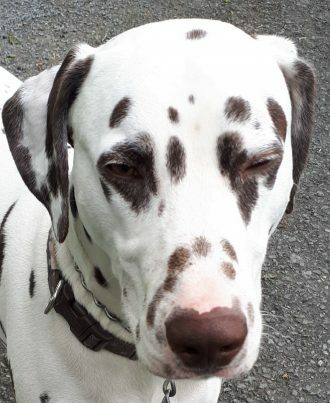 She shares her life with a Dalmatian, Danny, and two bossy cats. Wordhouse is proud to have won the Small Business Sunday award from Theo Paphitis (Dragons’ Den) in 2013.